2. You can post a cheque payable to OUDT (Oxford University Development Trust) to Professor Chris Lavy, NDORMS, University of Oxford, Nuffield Orthopaedic Centre, Windmill Road, Oxford, OX3 7HE. Please include your contact details with your cheque. For enquiries please contact us at clubfoot@ndorms.ox.ac.uk or +44 (0)1865 737649. We are raising £100,000 to deliver clubfoot training to healthcare providers in Africa, transforming the lives of thousands of children across the continent. I’m Professor Chris Lavy, a consultant orthopaedic surgeon and researcher at Oxford, and I lead the Africa Clubfoot Training (ACT) Project. I am passionate about improving trauma and orthopaedic care for children in Africa. I've worked in the region for over 20 years, building children’s hospitals and developing surgical training and research capacity. Our project team is based in Oxford, working with children's orthopaedic departments across the UK, and with CURE Clubfoot and Global Clubfoot Initiative partners in Burundi, Cameroon, DRC, Ethiopia, Ghana, Kenya, Liberia, Malawi, Niger, Rwanda, Senegal, Sierra Leone, Somalia, South Africa, Tanzania, Togo, Zambia and Zimbabwe. Got a question? Get in touch with our team by email clubfoot@ndorms.ox.ac.uk or by phone +44 (0)1865 737543. Please join us in transforming the lives of thousands of children! We aim to give every child with clubfoot the opportunity to have treatment, as we roll out two courses across Africa, a Basic Clubfoot Treatment Provider training course and a Clubfoot 'Train The Trainer' course. 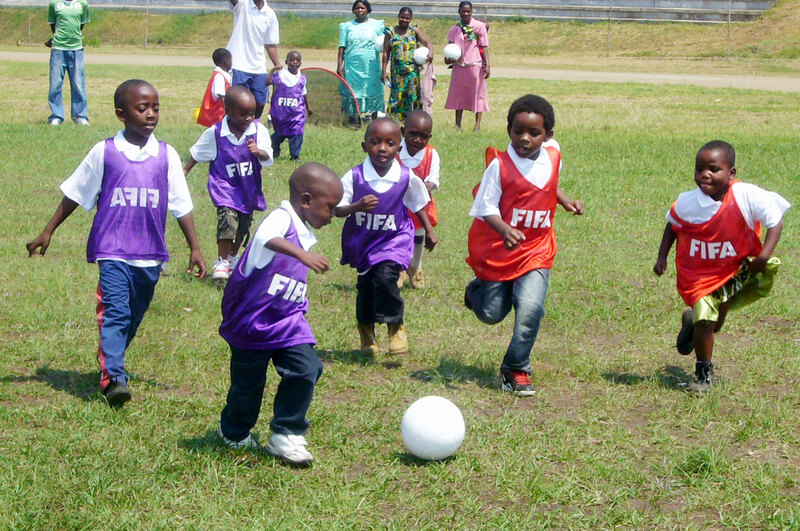 Children born with clubfoot play football after being treated for the condition. Children with untreated clubfoot are less likely to go to school or find employment, thus beginning a lifelong cycle of poverty. In addition, they experience a lack of dignity and are often excluded by other children and their own communities. Some are also abused. However, clubfoot is easily treatable in most cases, with careful manipulation, splintage, and very minor surgery that can be performed as an outpatient, to release tight tendons. This is called the Ponseti technique and is used in most Western countries. Child being treated during a training session. At the University of Oxford, we have worked with our partners across Africa and devised a two-day Basic Clubfoot Treatment Provider training course based on the Ponseti technique, and designed especially for under-resourced situations. In many African countries there are shortages of healthcare providers, and our course focuses on key essentials to accommodate this reality. We have shown that treatment for clubfoot can be effectively delivered by healthcare providers who have no specialised physiotherapy or orthopaedic training. To further address the shortage of healthcare providers, we have also designed a Clubfoot ‘Train The Trainer’ course. There are many healthcare providers with the potential to become trainers but lacking specific teaching skills. 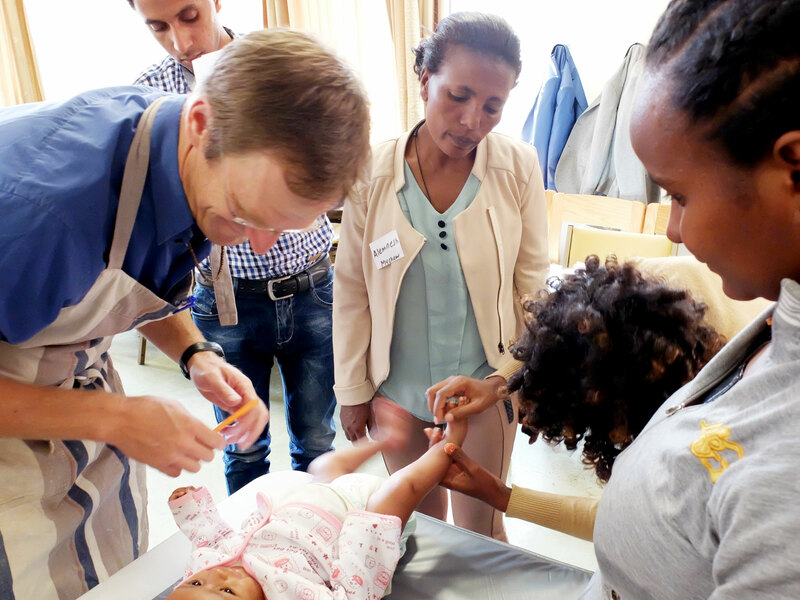 We have shown the 'Train The Trainer' course to be effective in teaching new instructors the knowledge and skills necessary to deliver the Basic Clubfoot Treatment Provider course. This means we can help train more healthcare providers to treat more children. We believe every child has the right to walk. Will you help us make this hope a reality for many thousands of children? £30,000: Trains 10 new local instructors to train 40 clubfoot treatment providers, impacting the lives of 480 children each year. £50,000: Trains 20 new local instructors to train 80 clubfoot treatment providers, impacting the lives of 960 children each year. £70,000: As above, plus a mentoring programme for clubfoot treatment providers in 40 clinics. £90,000: As above, plus more research into improving clubfoot treatment in Africa, especially for older children with untreated clubfoot. £100,000: As above, plus translation of the training materials into more languages, such as Portuguese and Amharic, to help expand clubfoot treatment even further across Africa. Our aim is to give every child with a clubfoot the opportunity to lead a normal life. Thank you very much for helping us on this journey. No amount is too small (or too big!) and we have some great rewards to thank you for donating - do check these out! Let's transform children’s lives together! Please help us spread the word about our campaign - share it on social media, talk about it to your friends, neighbours, co-workers, or vague acquaintances! Talk about us in the pub, at dinner, at the football, or in the queue for coffee. We need you! Drop us a line if you’d like us to send you our latest updates for social media. - Our children's orthopaedics team at the Nuffield Orthopaedic Centre, Oxford, especially Tim Theologis, Rachel Buckingham and Andy Wainwright. - CBM and the UK Clubfoot Consensus Group for supporting this project. - CURE International, Bryce Flurie, John Cashman and Linda Hansen for kind permission to reproduce footage and images, and to William Davies Films for video production and media support. - The UK Department for International Development Health Partnership Scheme and the Tropical Health Education Trust for funding the initial development of the course materials. 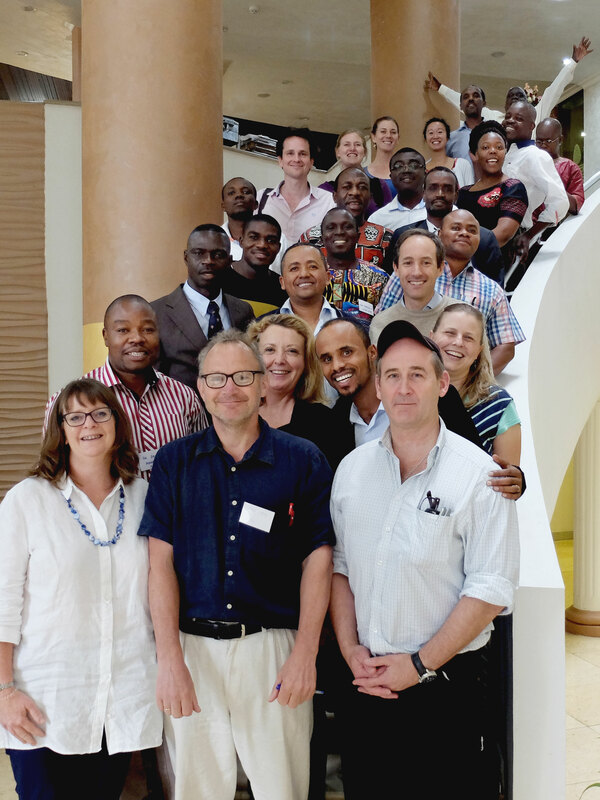 We will send a personal thank you tweet from the Africa Clubfoot Training team! As above, and we will send you an Africa Clubfoot Training project ball-point pen. As above, and we will send you an Africa Clubfoot Training project T-Shirt. As above, and we will send you an Africa Clubfoot Training USB flashdrive. University of Oxford’s Green Templeton College have generously offered to host donors for a dinner in their magnificent 18th century Radcliffe Observatory with Africa Clubfoot Training's director, Professor Chris Lavy, to hear more about the project.